Although some professional golfers have won more major tournaments and others have collected more in winnings, Ben Crenshaw remains after forty-two years on tour, one of the most popular and talented players on the grueling PGA circuit. His all-American looks, charisma, and grace under pressure have made him a gallery favorite from his days at the University of Texas, where he was heralded as the next Jack Nicklaus, to the 1984 Masters Tournament, where he ended a decade of frustration to capture his first major championship title. His second victory at Augusta in April of 1995 secured his place in golf history. Ben Daniel Crenshaw was born on January 11, 1952 in Austin, Texas to Pearl (Johnson) Crenshaw, an elementary school teacher from Tazewell, Virginia, and Charles Edward Crenshaw IV, an attorney who had worked as an assistant to State Attorney General Price Daniel. The Crenshaws gave Ben his middle name in honor of Daniel, who later became a United States senator and governor of Texas. 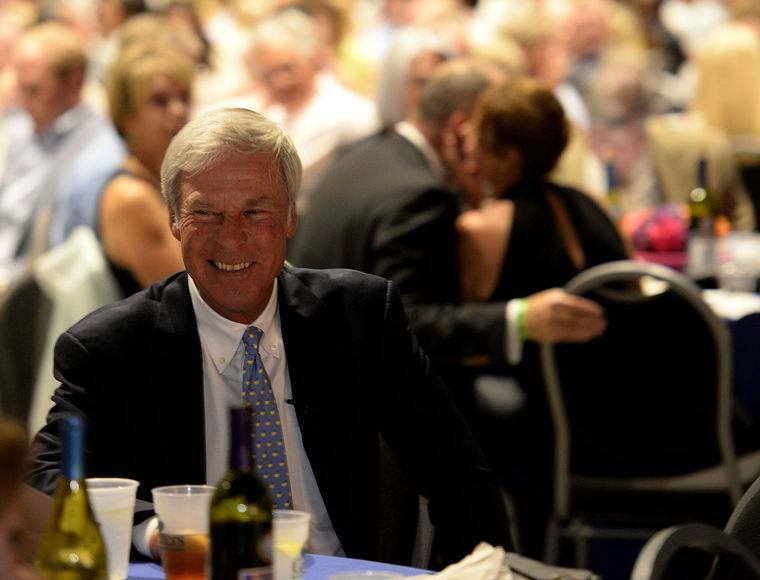 Ben Crenshaw has two siblings: Bonnie, who is ten years his senior, and Charles Edward V, who is one year older. Members of the family treasured Pearl Crenshaw, and her death of a heart attack in 1974, during Ben's second year on the Professional Golfers Association (PGA) tour, traumatized them. A scratch golfer himself, Charlie Crenshaw introduced his son to the game at the Country Club of Austin. "I got exposed to golf by riding around in a cart while Dad played," he told Louis Sabin in an interview for the Washington Post's PARADE magazine (June 2, 1974). "When I finally got to play regularly, all my dad said was I'd have to learn how to play the right way, and by the rules." Ben learned those lessons quickly, winning his first tournament - the Casis Elementary Open - in the fourth grade with a score of 96. Continuing to improve, he shot a 74 for eighteen holes when he was ten, and three years later qualified for the state junior tournament - a major event in Texas - with an impressive score of 69. Perhaps overly confident, he then neglected golf in order to spend more time with his girlfriend, but after failing to make the cut for the next year's state junior tournament he applied himself more diligently to his game. At fifteen he won that championship, a feat he repeated in 1968, as well as the first of three consecutive Austin City championships, and in 1968 he took his first national title when he outperformed the field at the Jaycees Junior Championship.